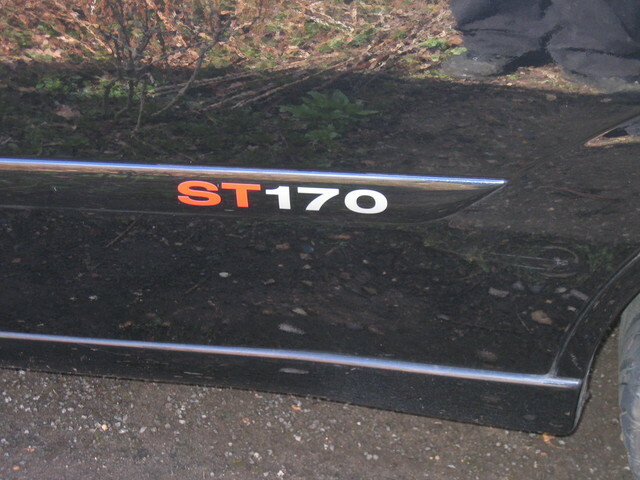 The "ST170" side sticker decals are normally found on the Australia version of the ST170 but nowhere to be seen on the UK version. 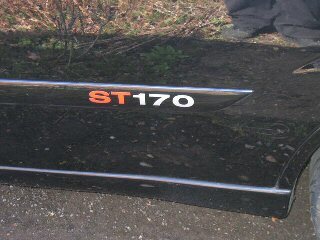 So I thought I'd follow the tradition by having it on my car! 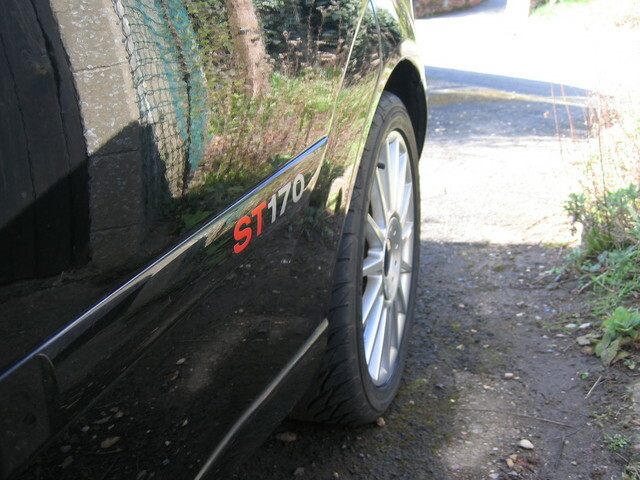 It's also known as "Rubbing Strip Decal". I got mine from eBay. It's also available at Torquesteer but it costs a bit more. First of all, you need to give the rubbing strip a good wash and dried fully before doing anything to it. Once it's dry, whip out your ruler and estimate where it will go, usually after the start of the curve. Peel off the backend paperback, so the sticky side will be on the mirrored side of the letters. Carefully position the decal on the rubbing strip and smooth it out to get ridf of any bubble using a cloth and ensure that it's all pushed down fully, every single letters. Leave it to set for a while. Then peel off the paper slowly, checking each letters are stuck to the rubbing strip okay. 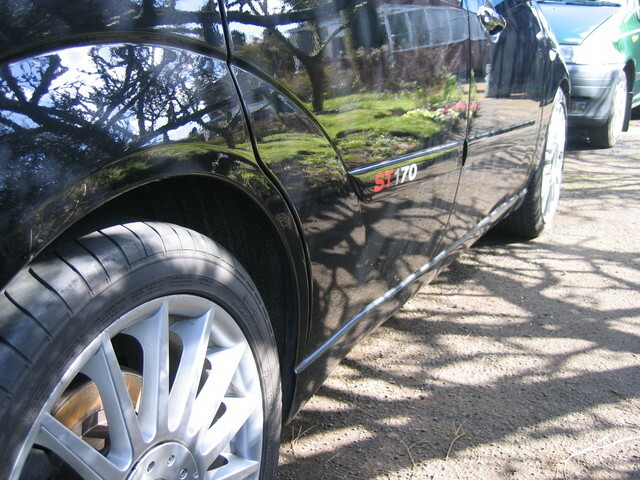 When done, repeat the step for the other side of the car.